Another night, another dinner out. Actually, I’ve been alone since Wednesday and I’ve consumed nothing but coffee and ice cream for three days. Poppy was down in Annapolis at a conference for his day job and my eating habits just went to pieces. I have so much admiration for single folks who cook and eat real meals and often wonder how I would fare if I were actually in that situation for any length of time. As it was, even if my kitchen hadn’t been torn up this week, it was too darn hot and humid to move, let alone cook, plus I reasoned that since Whole Foods ice cream doesn’t contain high fructose corn syrup it’s practically health food; and at my age I need the calcium for my thinning bones, don’t I? Tonight we ate at the Rose Tea Cafe, which originally started as a charming little beverage bar serving hot and cold tea drinks and specializing in so-called “bubble tea”, tea with big tapioca in it that you slurp up through a wide straw. When I was little we called that kind of tapioca “fish-eye tapioca” and I can understand why it was re-named. A year or two ago, maybe longer, they began offering a menu of Taiwanese specialties, and very tasty they are, too. 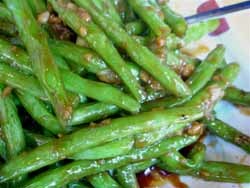 Bill ordered the short ribs with eggplant while I, desperate for something green and healthy after the last few days, got these beautiful green beans with garlic and ginger. It’s so exciting to find your blog! I just moved to Pittsburgh last year to start a grad program at Pitt, and it’s been so fun finding out just how many cute things exist in the ’burgh. Now to find that someone else is doing some of the work finding fun things for me is just great. By the way, I agree with you about Indica. Good food, slightly overpriced. My favorite Indian lunch buffet is still India Garden on Atwood. Mmmm. Coffe and ice cream, the perfect diet. I admire your reasoning on the Whole Foods ice cream being health food. Sounds like a good source of calcium to me. 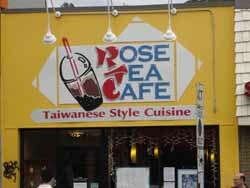 Rose Tea Cafe is a favorite of mine. I wish they were open later though. Quick, healthy, tasty, cheap is just what when I’m working late. Ulla and Kathryn, welcome to the blog; it’s always great to have new readers, and Kathryn, welcome to Pittsburgh! Have you ever heard of Udipe Cafe, out in Wilkins Township? It’s a really authentic south Indian, vegetarian place, near the Hindu temple. 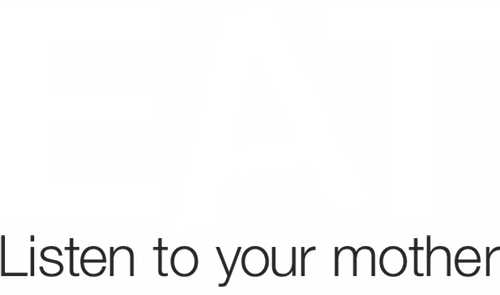 Mochoir and Julie – that calcium reasoning worked for me years ago when I was breastfeeding so I’m sticking to it! Zp – That page of special meals, the ones that come with the marinated egg, are especially good deals, and really good, too. Rose Tea Cafe must have been the place where she wanted to eat for lunch today, but my Mad Mex suggestion apparently trumped it. We had a morning full of moving house, and we needed lots of food! As for Udipe Cafe, there’s a restaurant by the same name in Dallas, and all I remember of it is really, really greasy dosa. I don’t think I’d ever eat there again! Also, Kathryn’s quite right: India Garden is the way to go. Hi, Colin – Welcome to the blog, and the East End! Your saying Mad Mex just now made me wonder if the Big Burrito Group (owners of Mad Mex and a couple other restaurants in town) have thought of renaming the restaurant after Mel Gibson’s recent spectacular lapse in judgement, or whatever you want to call it, or if the restaurant name has taken on a life of its own sufficiently divorced from Mel Gibson and the Mad Max movies that no one even thinks about the association any more. Hard to believe that our Udipe Cafe, being such a tiny little hole in the wall, is part of a franchise, but I suppose it’s possible. For all I know, “Udipe” is as common a name for restaurants in India as “Franco’s” is for pizzerias in New York or “Gino’s” is for cheese steak joints in Philadelphia. I wish we could go there more often, but my husband is a meat-eater and gets a little cranky with their vegetarian fare. I realize this is an older post, but I’m addicted to the beans at Rose Tea Cafe! How can I make them at home…any ideas?